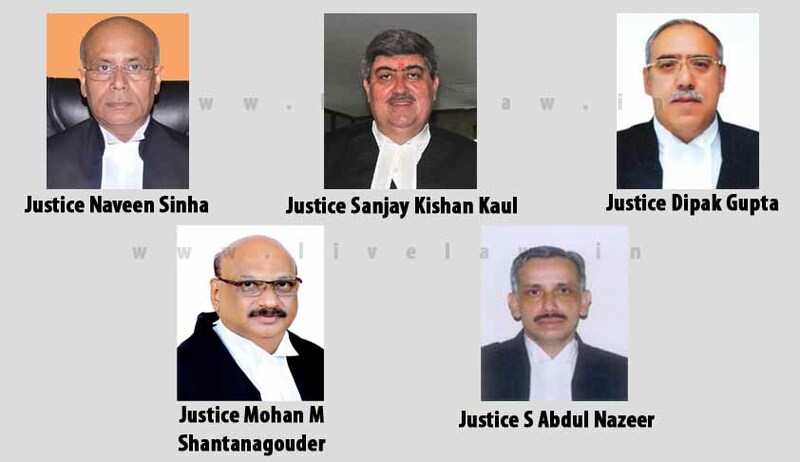 President Pranab Mukherjee has appointed five new Judges to Supreme Court of India. Rajasthan High Court Chief Justice Naveen Sinha, Madras High Court Chief Justice Sanjay Kishan Kaul, Chhattisgarh High Court Chief Justice Dipak Gupta, Kerala High Court Chief Justice Mohan M Shantanagouder and Karnataka High Court judge Justice S Abdul Nazeer have been appointed to the Apex Court by the President Pranab Mukherjee with effect from the date they assume charge of their office. The working strength of Supreme Court is 28 now against the sanctioned strength of 31.